Our database features a diverse and interesting mix of properties; with more than 30 years' experience we have the knowledge and expertise to find you a property that will suit your requirements. Whether it is a straightforward move, holiday home or a letting investment, we would like to help you find the perfect home. Contact our friendly sales team for more information! Please contact us on 01326 319 767 to register your interest or complete the online form here. and one of our dedicated team members will be in touch to discuss your requirements. Firstly, you need to register your details and requirements with us. This information will provide us with a better understanding of you and your requirements and also gives us the ability to finetune the search for your ideal property. Once you have registered, you can then receive details from us in person, via Royal Mail post or email. 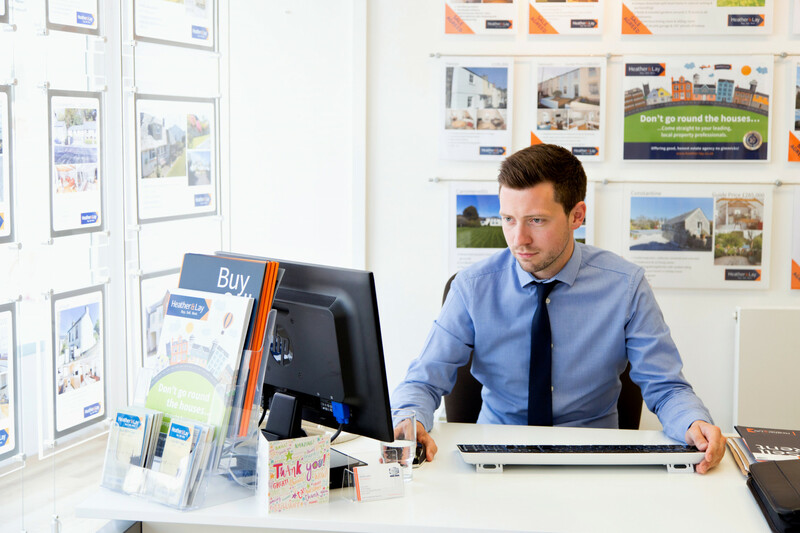 Once you have decided to view a property, our experienced and friendly team are available to arrange viewings of your selected properties. Our office is open 6 days a week from Monday to Friday 9.00am – 5.30pm and Saturday 9.00am to 4.00pm. It is possible to arrange viewings at other times, subject to prior notice and availability. Your offer would be made by us both verbally and in writing for the vendor's consideration At this stage we will need to provide the vendor with information about your ability to finance and proceed with the purchase of the property. All offers are “subject to contract” and therefore neither party is legally bound until the contract is exchanged. Now is the time that you would instruct a solicitor to act on your behalf for the purchase. Your solicitor will handle all the legal aspects and requirements of your purchase. If you require a mortgage, you would now need to formally proceed with your mortgage application and instruct your mortgage consultant or broker accordingly. If you require a mortgage, the lender will instruct a chartered surveyor to carry out a valuation survey. The survey provides a simple valuation which determines the amount to be loaned is secure and looks at the basic condition of the property. You, as the buyer are provided with a copy as well, to evaluate the findings of the property. You may wish to get a detailed survey which provides an in-depth report of the property's condition. A homebuyers survey is for properties in apparent good condition that are conventionally constructed. This survey highlights any obvious defects or problems which might have an impact on the overall value of the property in question. Building Surveys are suitable for all types of property whether conventional or unconventional. This survey is comprehensive and lists full technical details of the construction, materials and condition. It identifies all defects from the more serious down to the insignificant and the surveys are tailored to fit the client’s specific needs. Your solicitor will complete 3 searches: Local Authority - this provides information on a number of different areas e.g. planning, road works, the proximity of railway lines etc. 2. Water and Drainage - this reveals information about public sewers, mains water supply etc. 3. Other Searches – Occasionally non-routine searches need to be undertaken. The draft contract is drawn up by the seller’s solicitor and is then forwarded to the buyer’s solicitor for consideration. Any additional queries or questions will be asked and once answered the contracts will be amended accordingly. Subject to final approval these are then submitted for signing by buyer and seller ready for exchange. Subject to the findings of the mortgage valuation survey report, receipt/approval of the mortgage application and provided all satisfactorily conducted references and checks, the Lender will send a formal mortgage offer to the buyer and their solicitor. The document is signed and returned and funds requested by the buyer's solicitor. Once the contracts have been signed, a deposit (normally 10% of the final purchase price) is paid to the seller's solicitor. At this stage, both parties agree on a date for completion and in practical terms this is when you can breathe a sigh of relief. Either side would pay major penalties if they retracted on the sale and in most cases this is extremely rare. Completion usually follows a few days or weeks after exchange of contracts. The balance of the purchase price is transferred by the buyer’s solicitor to the seller’s solicitor and the keys released. Ideally, all the buyers and sellers in a chain complete on the same day, otherwise you might have to wait before you can move in.